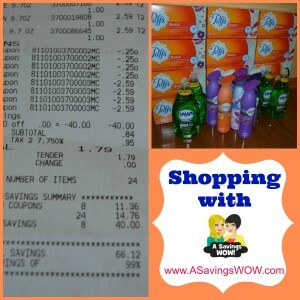 * HOT * Jewel-Osco P&G Freebies – Shopping with A Savings WOW! These make for great stockpile items, but also make wonderful donation items to schools, shelters, food banks, and food pantries. Plus, we earned one stamp towards the Rachael Ray cookware promotion. Check out some of the other products included in this sale below. Let us know what you purchased and what you saved! Be sure to check out our full Jewel-Osco matchups and deals for the week before heading out there.